A public golf course with the conditions, amenities and customer service of a private country club. 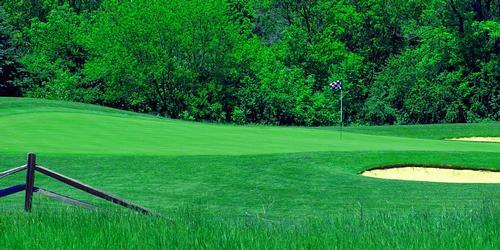 This course has received numerous awards, including being nominated "Best New Public Course" in 1995 by Golf Digest. Recently, awarded a 4 Star rating from Golf Digest Places to Play in 2000-2002. The course was carved out of rolling hills and wooded terrain. Six ponds and some marshy areas come into play throughout the course. It is a International Audubon Santuary golf course property. CCW was a qualifying site for the the PGA Tour's Greater Milwaukee Open in 2002. This course is located about three miles from Lake Michigan, so windy days are fairly common. Located 30 minutes North of Milwaukee, or South of Sheboygan off Hwy 43. Take exit #93 and go west to County Road W. Then right or North on Hwy W. 2 miles, on your left. Fire Ridge prides itself in creating memorable golf events and outings. Our staff of PGA and culinary professionals will assist you in planning a first class event. We can provide breakfast buffets, brats and burgers at the turn, luncheon buffets, post golf appetizers, tenderloin steak dinners and more. The success of your special event is an important to us as it is to you! Let our Event Staff and Culinary Professionals create an outstanding and memorable experience for all of your valued participants. The Fire Ridge team is ready to serve you! Contact Fire Ridge Golf Club at 262-375-2252. 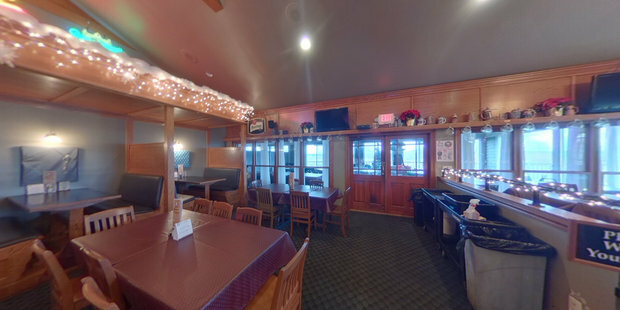 Flannery's at Fire Ridge located inside the clubhouse is a traditional Irish Pub featuring a large oak bar, cozy booths, a warm stone fire place and plenty of Pilsner Urquell on draft. Our patio overlooks the golf course to the West where spectacular sunsets can be enjoyed. Flannery's daily menu features traditional pub fare, salads, pastas, steaks and seafood. Contact us for daily specials 262-375-2977. *Hours will change based on weather compatibility. Watch the Fire Ridge Golf Club Video. One of the best golf values in the area! This profile was last updated on 03/29/2019 and has been viewed 51,012 times.